The qrencode application is a tool to rapidly produce qrcodes. Qrcodes are handy little images that embed information many cell-phone cameras can read to do a number of tasks like provide a link to install applications, provide links to web sites or videos, or to add contacts into the address book. With qrencode, in seconds you can generate these images. According to WikiPedia QRCodes were introduced by the automotive industry for tracking parts. QRCodes gone beyond part tracking to a myriad of applications. Their popularity has increased in the consumer market with the advent of smart-phones with cameras that are able to scan in and process a qrcode. Their use spans many genra include entertainment, educations, and automation. The qrencode application discussed in this entry was created by Fukuchi Kentaro and can be found on his website or, more easily obtained through your distro’s package management system. The website primarily discusses the use of libqrencode, the library which other applications can bind to to create qrcodes. The package itself comes with a binary that allows the creation of qrcodes. On an Android phone there is an application called barcode scanner that is more than likely installed by default or easily grabbed from the market. If you scan the image above you will be prompted on what to do with the URL embedded in the image. In conjunction with service level the error correction level can be defined. Error correction level sets the capacity for the data to be read or “corrected” should the code become “dirty or damaged.” There are four error correction levels: L (~7%), M (~15%), Q (~25%), H (~30%) . The higher the error correction level the less data that can be stored in the qrcode image. Recall that qrcodes were first designed for tracking parts in the automotive industry. The error level was to compensate for factory environments which can get quite dirty. Thus error levels Q and H are typically used in environments where the potential to damage or dirty up the qrcode is high. Level L is suitable for clean room environments. Level M is suitable for all other instances. By default, qrencode uses Level L. If you plan on using the qrcode on print material you may want to go with level M.
One more factor to consider that impacts the size of the qrcode is the module depth, or dpi of each module. By default qrencode uses a dpi of 72. This is fine for screen resolution but for print consider higher dpi as applicable. More information regarding the application and design of qrcodes can be found at the denso-wave website. In conjunction with the Wikipedia page mentioned above it should provide a great starting point learning the qrcode standard. The also provide a handy table breaking down the amount of data each service level can hold by error correction level. Margin width was not discussed above. Standard qrcodes require a margin width of 4 modules. There is a definition for microCode which defines a width of 2 modules. The margin is the area around the qrcode and cannot contain any data. Note that the images above are not the original images created, and are not show at their full size in this post (click to see full size, your phone may have a hard time deciphering them). They were created using the commands above and then put into a third image using the Gimp to display on this page at a reduced dpi (for the second qrcode) as 300 dpi is not worth wasting bits for the screen. Take care! Note that there is no space between the vcard field type “:” and the entry. NO SPACES AFTER THE COLON!!! 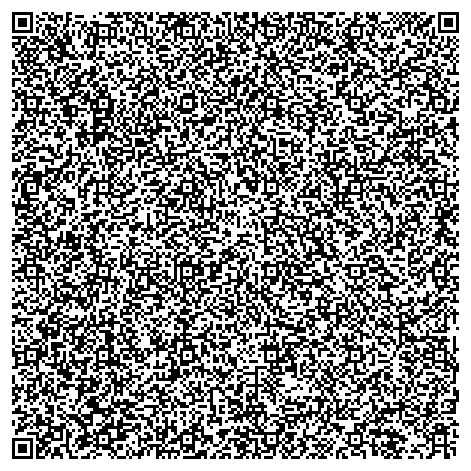 Scanning this qrcode will now provide you and the world wide web of spammers with my email so you can give me feedback! Each qrcode contains about a quarter of the data. If you scan them in the reader should be able to reconstruct the contents as they originally appeared. The Gimp was used to add the “TLLTS” in the center. Because of the error correction and the version level scanners are able to reconstruct the contents of the qrcode even though part of the qrcode is “damaged.” Altering a qrcode this way will require some trial and error to get the desired results. There is another QRcode generator called zint. If you want a GUI version it is called ziint-qt. It can create QRcodes as well as other barcodes types. I am curious of one thing. How can I use bash and output a huge bunch of qrcodes at once. (As you can see I am not a BASH expert). I have tried Zint -qt and it worked great. That distro has been replaced and I have not recompiled Zint. I forgot to add this tip. The tip above searches for any instances of nook. But if you want to direct people to the actual package name, here it is. This is good for android developers who want to direct people to there app. This is Linuxquestions.org mobile app. How can I create a SMS QR code with a phone number and a default text message? Very interesting subject Dann, great show! brain dead people? 😛 And, if you are writing on other places, I would like to follow everything new you have to post. On G+, Facebook, and Twitter I only post that there is a new show, I do not post comments, updates or anything else. All content about an episode is posted with that episode or in the comments of that episode. I will look into posting the g+, facebook, and twitter links. how do i install the qrencode scanner?? hey dude . thanks for share about qrcode on linux..